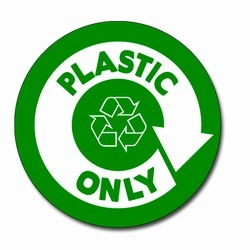 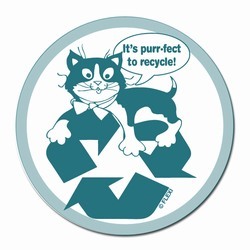 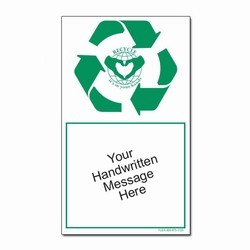 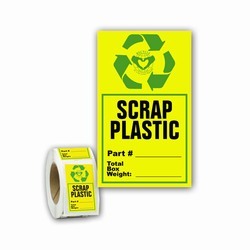 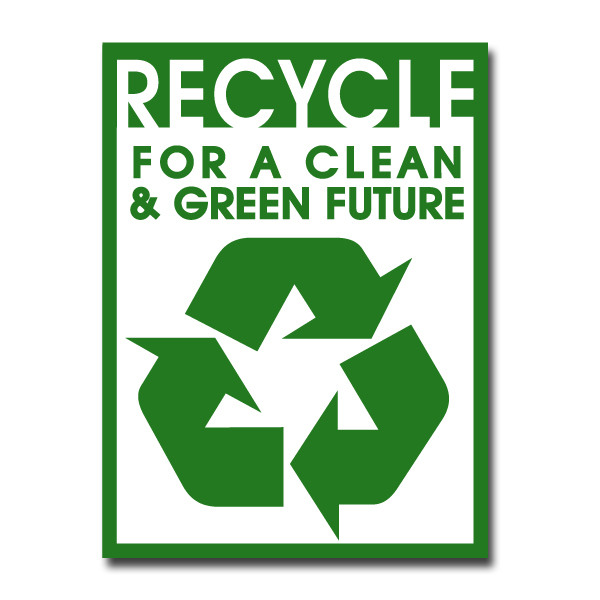 3"x4" 1 Color Green Imprint on White Sticky Back Vinyl Recycling Decal. 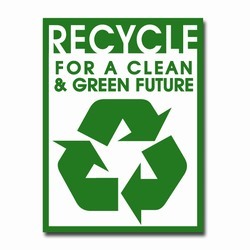 "Recycle for a Clean & Green Future." 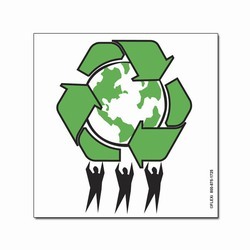 with recycling symbol.